Welcome to the team Ana Tilman! We have had an auspicious start to 2019. Just this week, we have hired a new staff member, Miss Ana de Jesus Barreto Tilman. 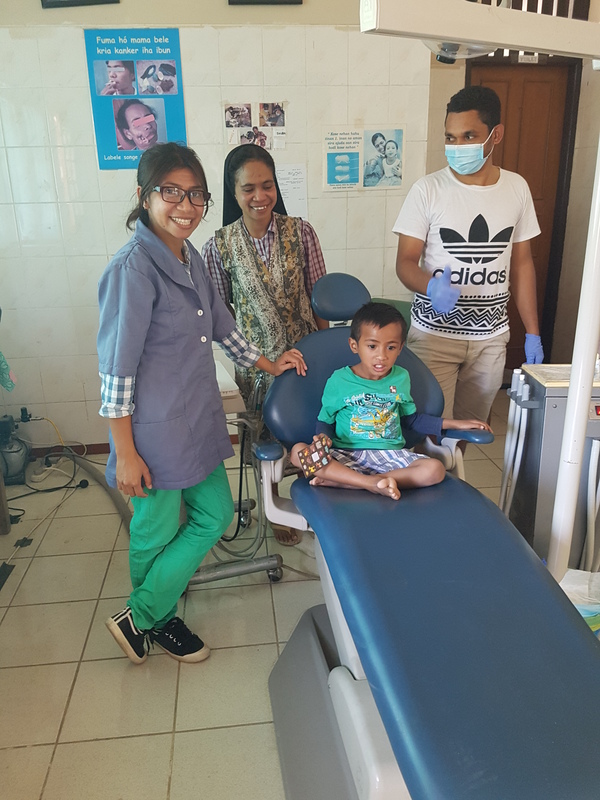 Ana is a qualified Timorese dental therapist, a University of Dili (UNDIL) graduate. She will be working in the Maubara clinic and in our School dental program with Nico, our full-time dental therapist. 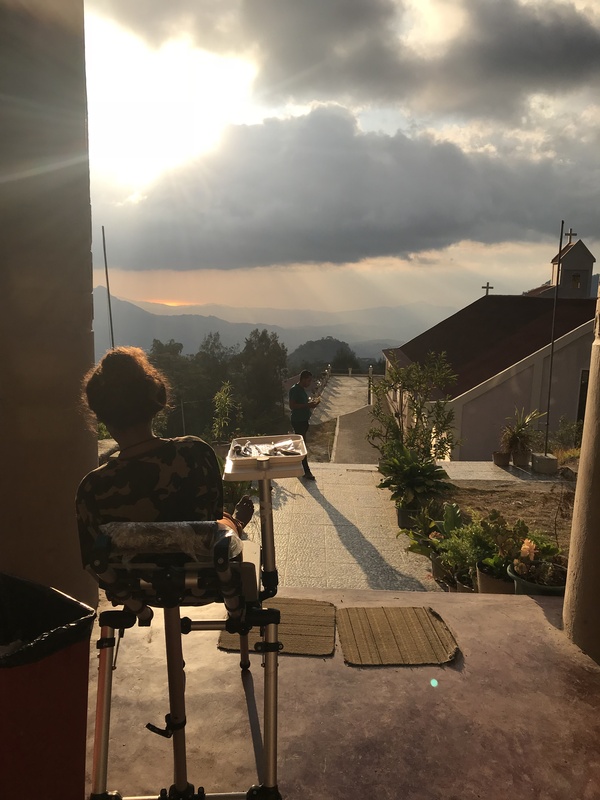 She will be assisting with treatment, infection control, sterilisation and record-keeping – tasks that are very hard to do well when working by oneself. 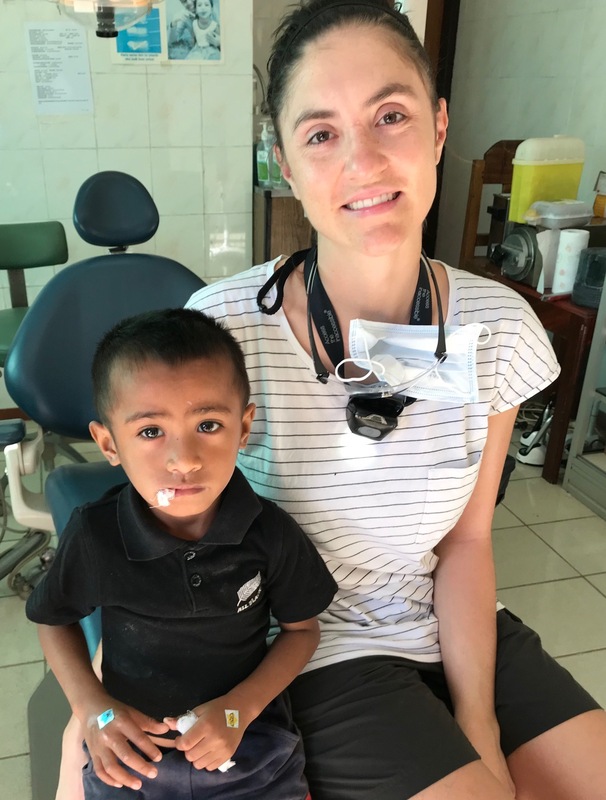 Ana Tilman also works for the Kose Nehan toothbrushing program in Aileu, so we are very lucky to have her onboard in her downtime. A warm welcome to the TLDP team, Ana! Team 5 was led by Dr David Sheen, one of this program’s founders, and an excellent dentist, teacher and mentor. David has decided that this will be his last clinical trip, so we imagine that this trip tasted bittersweet. David will be sorely missed. He is a gracious, good-humoured and considerate person and a skilled team leader. 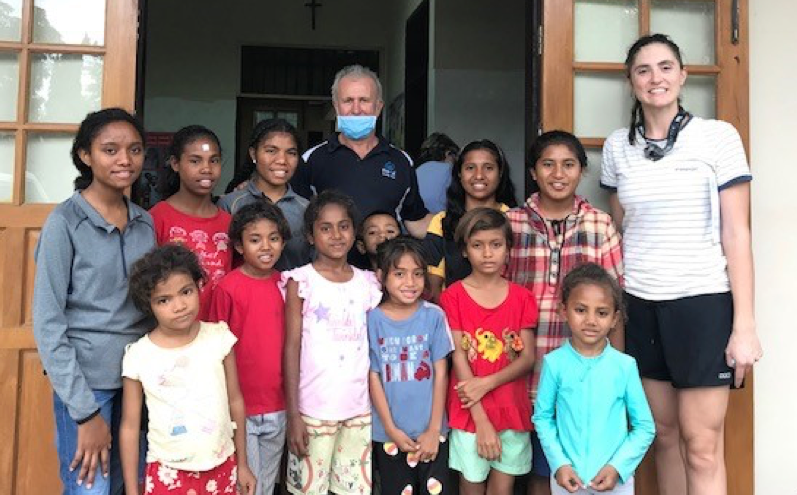 However, there is no rest for the wicked – David will continue to be involved in the TLDP management committee, and he has taken on the responsibility for getting a Timorese person into and through a dental degree! We haven’t seen the last of him yet! The remainder of the Australian contingent of Team 5 consisted of returnee, Dr Geoff Knight (Week 1), and newcomers, John Darby (Week 1 and2) and Gaye Dumont (Week 2). 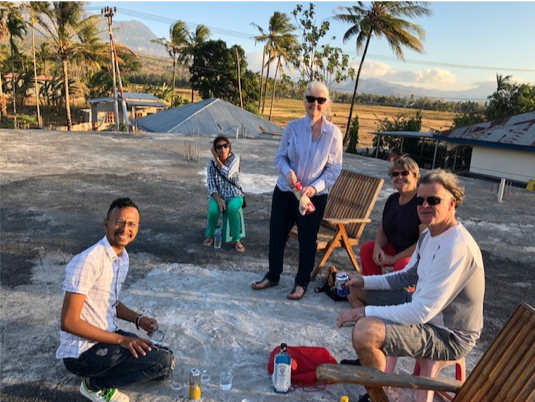 We are proud to say that the Timorese portion of Team 5 was considerably larger than the Australian part, something that is now typical of all our teams, and an ideal that we have been steadily working towards over the past 15 years. We believe that a program is only sustainable if it has local ownership and it can only be locally-owned if there is a preponderance of local participation. 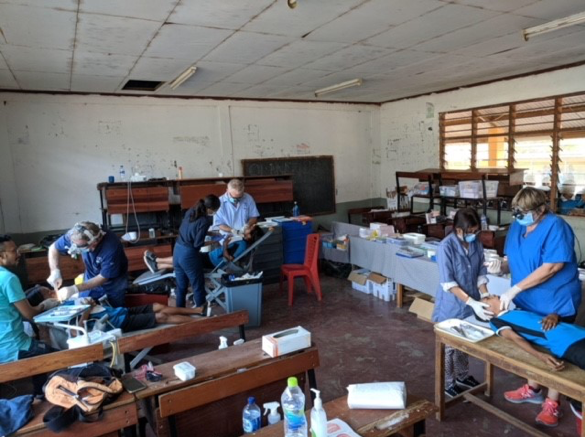 The timorese contingent consisted of TLDP dental therapist, Nicolau Tolentino Faria Pires (Nico), TLDP dental assistant and translator, Ana Paula Dos Santos Tavares Salgado, Ministry of Health (MoH) dental therapist, Diamantino Correia Morais (Tino), translator, Bonifacio Cardoso Martins (Bony), translator and organiser, Isabel Noronha Pereira De Lima Maia (Isa), MoH dentist, Dr Inda Zulmira Dias, MoH dental therapists, Armando Da Costa Martins and Ricardo Mendonça, and Carmelite sister, Sr Delfina Soares. 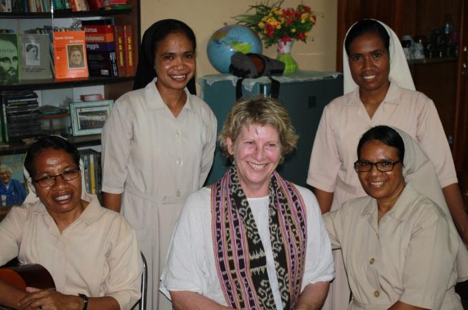 With the exception of Sr Delfina, all the Timorese in this team have worked with the TLDP for many years. Manetu is a very poor area, which suffers from severe water shortages when the rain doesn’t come on time. As a result, the villagers have difficulties with personal and home hygiene, and the team saw many people with scabies and badly infected mouths. This is the first time the TLDP has travelled to this village (this was an agreement drawn up in April this year in a meeting with the local chiefs) and the first time this village has had any dental care at all, so it was unsurprising that most of the treatment was extractions. Dr Inda manned 2 extraction chairs all by herself, and David mentored Nico doing restorations. Team 5 had brought over our new 34kg suction unit. It worked brilliantly, which meant happy clinicians and happy patients. Lucky for them, there were no equipment breakdowns. NONE! That must be a record! 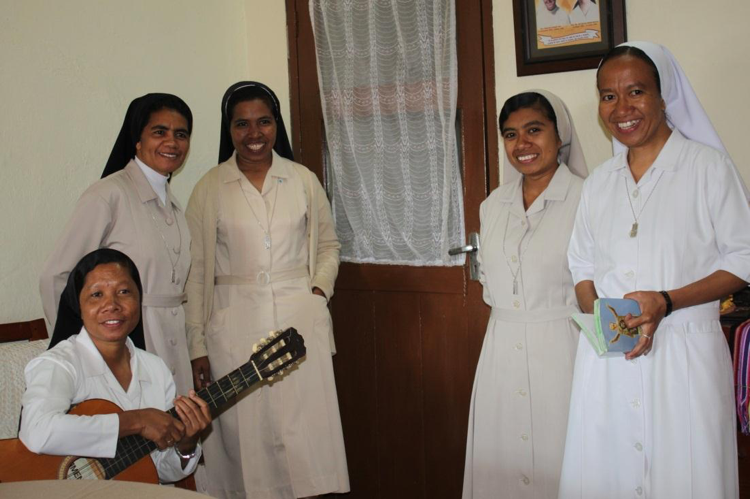 The team also got to spend time with 3 different sets of Carmelites – Sr Filomena, Sr Carmelita and Co. in Oecusse, Sr Joaninha, Sr Lindalva and Co. in Maubara, and Sr Domingas, Sr Rosa, Sr Eva, Sr Veronica and Sr Zeza in Maubisse. That’s a lot of cheeriness and good food right there! 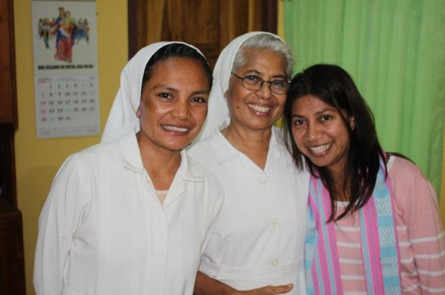 (Pic: the Maubisse Sisters) Overall the team saw 443 patients, carried out 318 check-ups, took out 460 teeth, placed 218 fillings and did 42 preventive treatments. Well done Team 5! Thank you to everyone who continues to support our program! 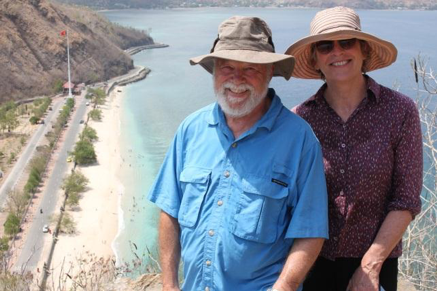 From our donors, to our team members in Darwin who collect supplies and bring them to the airport for the teams, to our biggest materials donors – Henry Schein Halas and SDI – and the Rotary Liaison Team in Dili who do so much running around for us, we are in your debt. Thank you for your generosity. We could not do this without you. Team 4 was plagued by problems before they had even left Australian shores. Team numbers fluctuated wildly with each loss and gain of dentists and dental assistants, wrong flight bookings were made, translators got other last-minute jobs, supplies went astray or disappeared into thin air! But the team pulled it together and they did a great job. 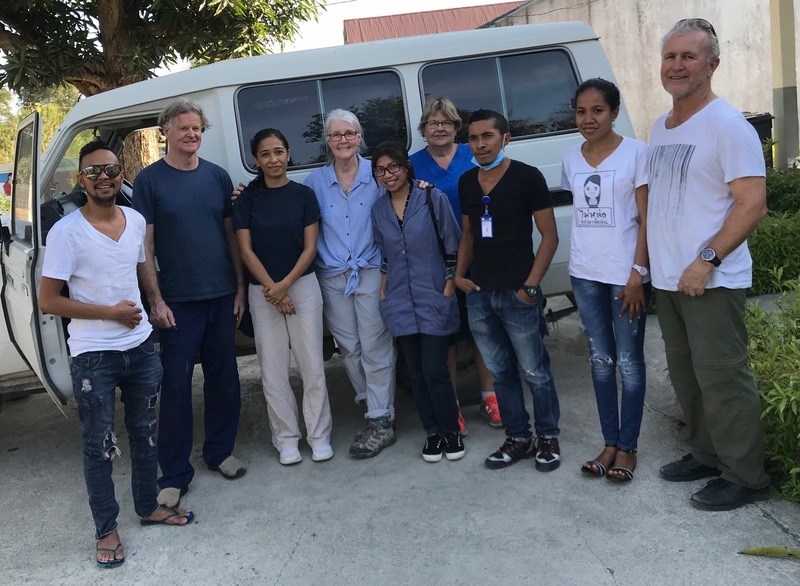 The team’s core comprised team leader, Dr Peter Shakes, Timorese dental therapist, Nico Pires and Timorese dental assistant and translator, Ana Paula DST Salgado. 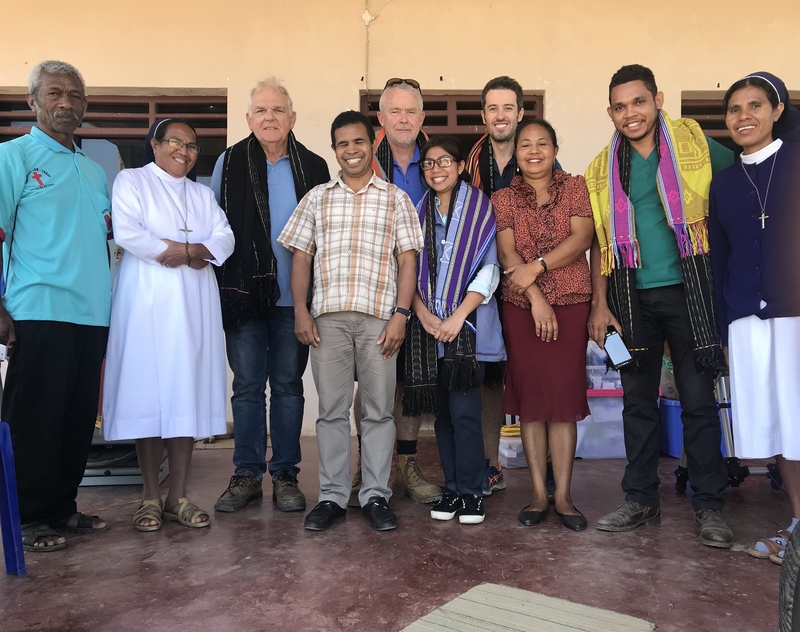 They were joined by Dr Andrew Frame and Dr Ashley Freeman during week 1, and Dr Mary Tuituinnik (her 2nd time this year – thank you Mary!) for week 2. 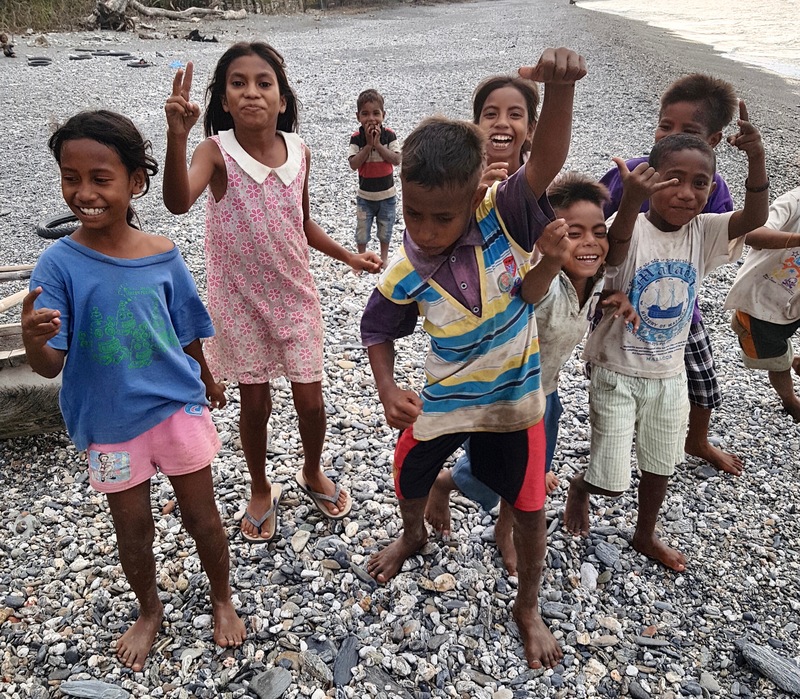 Thankfully, another driver was found for the rest of the week, as the team made several trips up and down the treacherous coast road to the west of Maubara. Despite being sealed, the road has several sudden, unmarked and unexpected drops, as well as large washouts leading to the cliff. The many broken barriers (separating the road from the sheer drop down into the ocean) are silent reminders that this road is not for the unwary or the foolhardy. 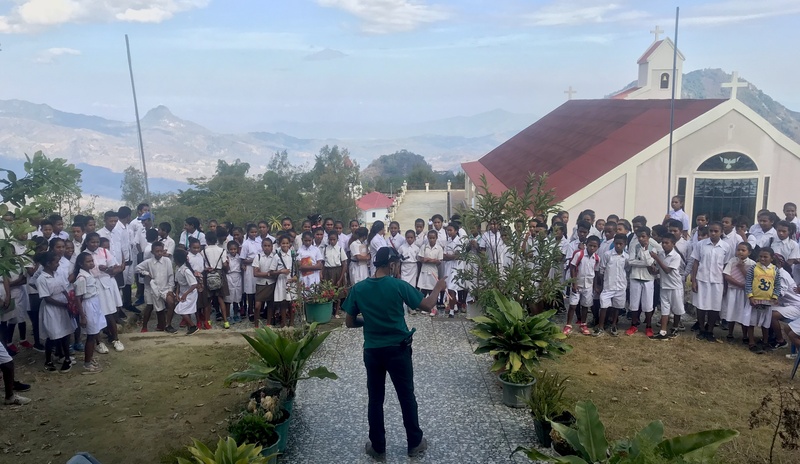 The team spent Day 2 in Caicasa School, which Peter’s team had visited a year ago. At the time the school had funding for a feeding program, and the team was impressed by the children’s general and dental health. The feeding program managed to feed 194 kids for only USD 50 per day; unfortunately the funding ran out April this year. They also visited Faulara; the road to this village is terrible – the last hour was spent entirely in 1st gear. The team was disappointed as there was a lower-than-expected attendance to the clinic, as it coincided with the official opening of a new police station, with speeches and free food. The team ‘only ‘ saw 180 people that day (these are high achievers). The last 2 days were spent at Loes Junior school and Paurobo Primary School. The team was very busy indeed! They worked in 5 different locations that week, which means 5 times of unloading, setting up, breaking down, and reloading over 300kg of equipment. That’s a lot of heavy lifting! Mary, Peter and Nico worked seamlessly together, like a machine well-oiled by Ana Paula’s presence – for the second week in a row, she performed all clinical assistance, translating, and sterilising duties! The team treated a total of 1154 people over the 2 weeks. They extracted 557 teeth, restored 82 teeth, cleaned 11 sets of feet and did 15 preventive treatments, despite having almost no suction and only one dental assistant between all the dentists. Adaptability! That’s what we like! Well done team!! !